DAV (Disabled American Veterans) is the most long-lasting veterans advocacy and assistance group in this country. We’ve watched this country change and grow, and we’ve grown along with it. However, DAV has never wavered in its core mission to fulfill our country’s promises to the men and women who served. We invite everyone, veterans and civilian, men and women, young and old, to join us as we stand up for those veterans who risked it all when they stood up for us, our country, and our ideals. In January 2015, DAV became the first and only organization authorized by 1 million veterans as their accredited representative for claims before the Department of Veteran Affairs. Veterans earn benefits and compensation for the sacrifices they and their families endure while serving in the military and often long after he or she has hung up the uniform. But too often the veteran does not know what is available, what has been earned or how to go about obtaining it. Disabled American Veterans has never wavered in our commitment to serve our nation's military service-connected disabled veterans, their dependents, and survivors. Our largest endeavor in fulfilling that mission is our National Service Program. In 88 offices throughout the United States and in Puerto Rico, the DAV employs a corps of approximately 260 National Service Officers (NSOs) who represent veterans and their families with claims for benefits from the Department of Veterans Affairs (VA), the Department of Defense, and other government agencies. 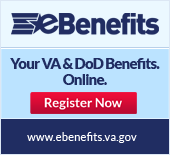 Veterans need not be DAV members to take advantage of this outstanding assistance, which is provided free of charge. NSOs function as attorneys-in-fact, assisting veterans and the families in filing claims for VA disability compensation and pension, vocational rehabilitation and employment, education, home loan guaranty, life insurance, death benefits, health care, and much more. They provide free services, such as: information seminars, counseling, and community outreach. NSOs also represent veterans and active duty military personnel before Discharge Review Boards, Boards for Correction of Military Records, Physical Evaluation Boards, and other official panels. NSOs cannot do this work for you unless you seek them out, and ask for their representation. They also cannot do the work alone. You must provide correct, accurate, and up-to-date information in order for the process to proceed to the next level. You must work with your DAV National Service Officer, and be patient for the outcome.